The extreme left’s takeover of the Democratic Party is proceeding with breathtaking speed. The party’s shift leftward has been obvious for some time. But it’s come to the point where those who’ve guided and led the party’s successes over the past 25 years are treated like outcasts. Even former President Barack Obama, once the epitome of a new generation of Democrats, is vilified by today’s left as having been overly cautious and inconsequential. No, today’s Democratic heroes are people like Bernie Sanders, who “joins” the party every four years only so he can try to become its leader. And with no loyalty to other Democrats, either: Witness his hiring last week of Twitter attack dog David Sirota, who’d been ruthlessly trolling Sanders’ opponents online without revealing that he was working unofficially for the Vermont socialist. And never mind Sirota’s record of praise for the Hugo Chavez regime in Venezuela. Heck, Bernie himself still won’t criticize Chavez’s successor, even though “Bolivarian socialism” has led that country to utter disaster. It also speaks volumes that House Speaker Nancy Pelosi — a lifetime extreme liberal — has emerged as the voice of political restraint. “You’re wasting your time” by pushing to impeach President Trump, she recently scolded the hard-left faction: If Republicans (to say nothing of independents) don’t see it as reasonable, it’s a political loser that divides the nation without even helping Democrats win. Smart political advice — yet the speaker is engaged in a daily struggle to control her own caucus, particularly its new members. And it’s not remotely clear that she’s winning. Case in point: Pelosi’s initial attempt to have the House stand against Rep. Ilhan Omar’s anti-Semitic remarks collapsed into a toothless resolution condemning all hatred. Here in New York, it’s reached the point that Mayor de Blasio sometimes looks like the adult. The city’s Democratic Socialists scored big by selecting Alexandria Ocasio-Cortez (out of many they auditioned) to challenge longtime Rep. Joe Crowley in the Democratic primary. Having scored the unexpected upset, she’s become a national figure and hard-left trendsetter — and her camp has taken to threatening other Democratic incumbents with the same treatment unless they toe the newbies’ hard-left line. Meanwhile, nearly the entire 2020 presidential pack is parroting the Sanders-AOC agenda, feeding the extremism of the social media world in which the Democratic Party base now lives. 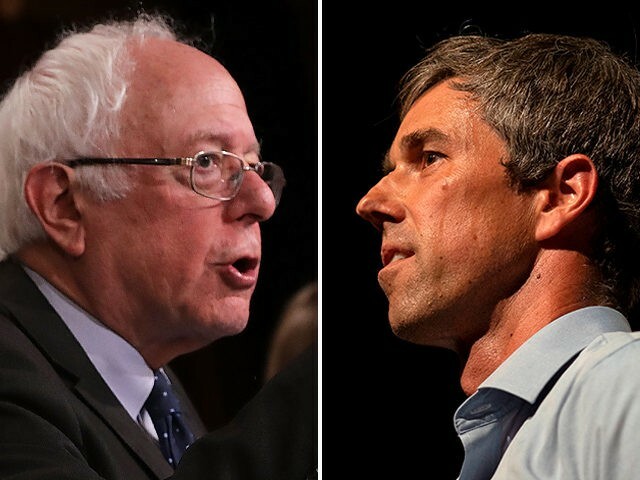 Indeed, the most radical ideas have become litmus tests for all would-be national candidates: packing the Supreme Court, abolishing the Electoral College, the pie-in-the-sky and budget-busting Green New Deal, Medicare for All and a host of other unrestrained wild spending plans. Party stalwarts find themselves yielding to the left’s demands — clearly fearful of being trolled and denounced on social media if they dare stand up to the online mob. Forget the Democratic Party of Bill Clinton: The party of Barack Obama is dead, taken over by the historically discredited mantra of socialism. 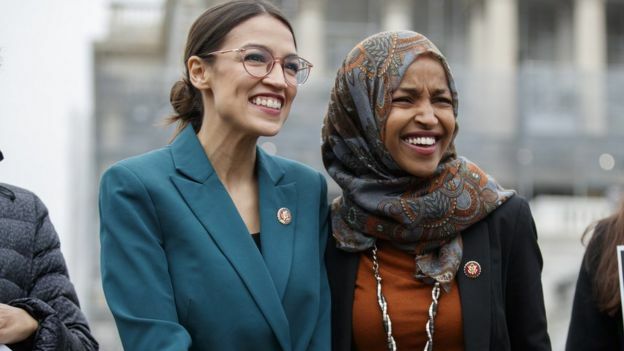 Unless some Democrats stand up and show some political backbone, their party will only keep hurtling not only to extremism but to political oblivion.